April showers, bring May flowers, right? That would be true except this spring has been so unseasonably cold that every time we have a warm day and I think spring is finally here, it gets cold again and the flowers refuse to bloom. Never-the-less, June is almost upon us and it’s time for Memorial Day weekend cookouts! So I present you with May Flowers jello shots. Made with a generous dose of St. Germain Elderflower liqueur, gin, and grapefruit juice, these shots are flowery, sweet, and a little tart. Have a safe and warm holiday weekend! In a small saucepan, sprinkle gelatin evenly over grapefruit juice and allow the gelatin to absorb the water for two minutes. Over medium heat whisk in sugar and bring just to a boil while stirring gelatin until fully dissolved, careful not to let the mixture boil over. Transfer gelatin into a medium bowl and allow to cool to room temperature. Stir in elderflower liqueur and gin. 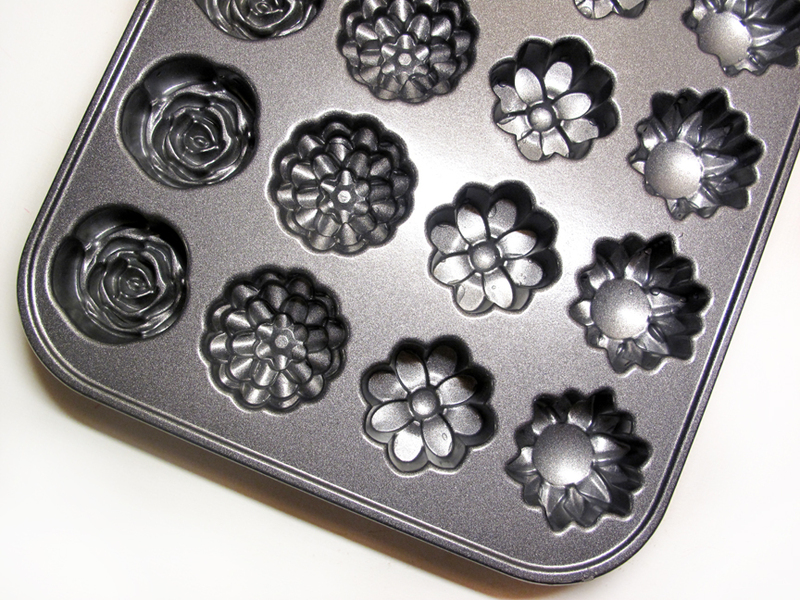 Pour into candy molds, or novelty silicon ice cube trays shaped like flowers. Refrigerate until firm. Dip mold in warm water for 10 to 15 seconds and invert over a baking sheet to unmold. Mix a couple of drops of green food dye with a few drops of water and, using a tiny paint brush, paint the center of each flower green (optional). Refrigerate to let the green dye dry and serve. Makes about 20 jello shots. I don’t eat gelatin (I’m vegetarian) but these sound sooooo good. St. Germain is my absolute favorite. You could, with some tweaking, probably substitute Agar powder for the gelatin. Its gelatin like but made from seaweed and 100% vegetarian. Good luck! yummm! i love this idea!! did you use the nordic ware pan in your post for your jello?? i’ve been trying to come up with ways to use mine!